A while back, I did a post titled Cloudburst. 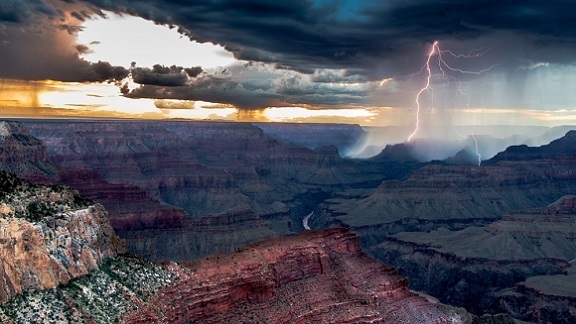 The photo in that post didn't even come close to capturing the grandeur of a cloudburst over the Grand Canyon. Photographer Amit Lamba came much closer. That is some place; that is some storm; that is some picture. Wow!